I remember going to a stationary store as a 10-year-old and purchasing a painting brush without giving a thought as to how it was made. It wasn’t until much later that I learnt they are mostly made using mongoose hair. Most of us have been, and continue to be, unsuspecting accomplices in this cruel trade. All mongoose species found in India are protected under Schedule II (Part II) of the Indian Wildlife (Protection) Act, 1972, which prohibits all trade of animals listed in it. Violation may lead to imprisonment up to seven years and/or a hefty fine. The species are also covered under the Convention on International Trade in Endangered Species of Wild Fauna and Flora (CITES), an international agreement between governments, with a complete ban on its commercial trade. But trade of products made from mongoose hair is quite rampant in India. While there are no recent figures, an estimate by the Wildlife Trust of India in 2002 said that around 50,000 mongooses are killed by poachers every year. In March this year, forest department officials in Kochi impounded around 14,000 brushes whose bristles were suspected to be made of mongoose hair. Despite their protected status, government and non-government sources have compiled very little empirical data on the volume of trade of mongoose or their population in the wild. Possible unknown over-harvesting of this species for commercial gain is now a worrying factor. Lack of information makes it difficult to assess the impact of the trade. 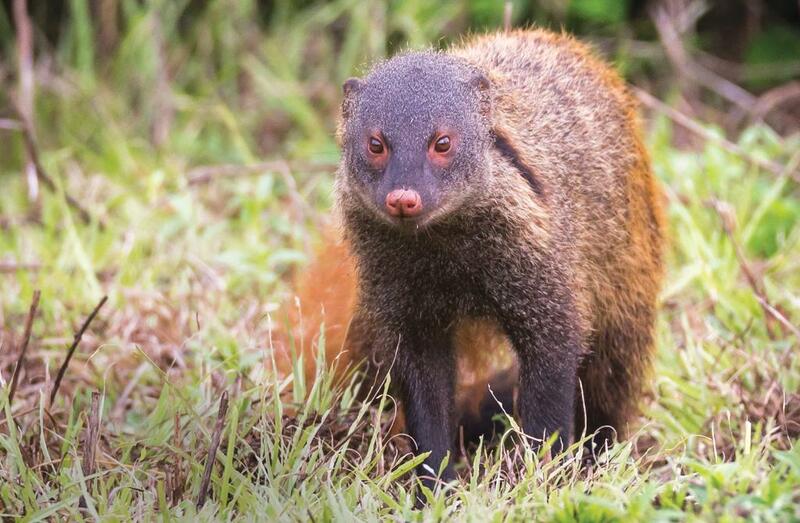 The mongoose is an active hunter and feeds on small animals that live on the ground. It lives in crevices in rocks or burrows dug by other animals. It is extremely beneficial to farmers because it helps in weeding out the pest population in fields and saves crops. While the Indian grey mongoose (Herpestesedwardsii) is quite common in cities, there are five other mongoose species found in the country—ruddy mongoose (Herpestessmithii), small Indian mongoose (Herpestesauropunctatus), crab-eating mongoose (Herpestesurva), stripe-necked mongoose (Herpestesvitticollis) and brown mongoose (Herpestesfuscus). Brushes made of mongoose hair are in great demand in several countries and are often smuggled to the US, the Middle East and European countries, according to reports by TRAFFIC, a wildlife trade monitoring network and a strategic partner of the World Wide Fund for Nature (WWF) and the International Union for Conservation of Nature, which operates as a programme division of WWF-India. TRAFFIC’s India chapter had launched an online campaign on social networking sites in February 2015 on the species during which facts were released to raise awareness about the mongoose. The campaign said, “Mongooses are trapped and invariably beaten to death so that their hair could be extracted for commerce. It is estimated that for a kg of mongoose hair at least 50 animals have to be killed. Mongooses are exploited for other purposes too. The Status of Mongooses in Central India by S K Shekhar in 2003 indicated that the mongoose is in demand as a pet. The paper was published in the journal Small Carnivore Conservation. Gypsies from northern India use hook snares to capture the mongoose for its skin, which is then sold in local markets in Nepal, said the paper. Records also cite the mongoose being used by snake charmers during street performances to fight a ‘deadly’, albeit mostly de-fanged, snakes. Generating awareness among consumers is one of the biggest challenges, and identification of mongoose hair brushes is the key to it. During its campaign this year, TRAFFIC (India) released an infographic to help consumers identify brush made of mongoose hair to prevent their trade. It says that mongoose hair is stiff, has a shaded gradation of grey, brown and dark brown. The tip of the hair is dark brown with cream or grayish centre and becomes dark again near the roots. Time seems to be running out for these ground-dwellers as they are hunted across the country for a range of activities. The mongoose may soon disappear if steps are not taken to save the last of these helpful critters. 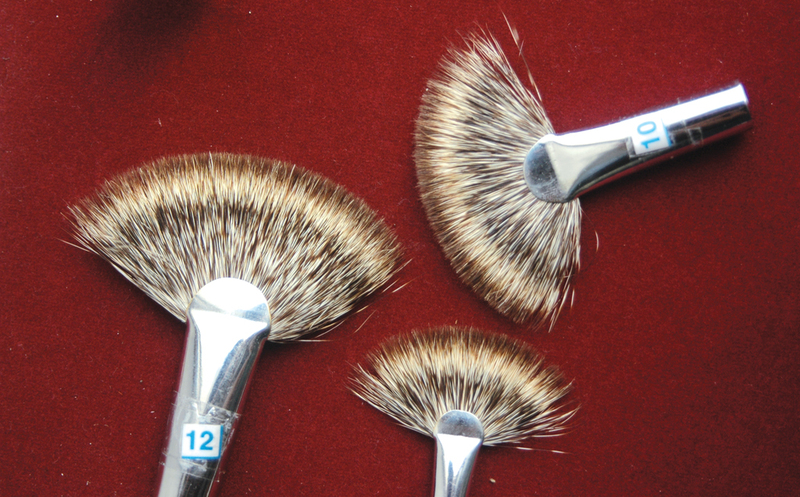 Mongoose hair is used for making different kinds of brushes, including painting and make-up brushes. Snake charmers make them fight snakes during street performances. The animal is also in demand as a pet.